The Northern Illinois University College of Law will conclude its professionalism series, “Introduction to the Legal Profession: History, Culture, and Values,” from 4 to 5:15 p.m. Wednesday, Nov. 9, in the Regency Room of the Holmes Student Center. The event will feature alumna Cherilyn G. Murer (’78), president and CEO of Murer Consultants, Inc. and chair of the NIU Board of Trustees. This program has been funded through the generosity of Cherilyn and Michael Murer, whose dedication to professionalism is infused throughout the program. Murer will present “Morality Without Rules: Ethics in Business Transactions,” discussing ethics and counseling clients in the business context. The lecture is free and open to the public. Murer operates a successful a legal-based healthcare management consulting firm in Joliet, Ill. Founded in 1985, Murer Consultants offers a wide range of consultative services, including the design and development of health facilities, regulatory compliance oversight, and reimbursement analysis for all venues of care. A member of the NIU Board of Trustees since 2005 in her second term as chair, she also serves on the NIU Foundation Board of Directors and NIU College of Law Board of Visitors. 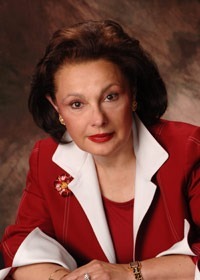 In February 2010, Murer was inducted into the Chicago Area Entrepreneurial Hall of Fame; and in April 2010, she received the Northern Illinois University Distinguished Alumni of the Year Award. She received a juris doctor degree with honors from the NIU College of Law, and has coupled her background in law with her previous operational experience as the director of Rehabilitation Medicine at Northwestern Memorial Hospital in Chicago. In addition, Murer has co-authored five books on a variety of healthcare topics, including effective case management, post-acute care reimbursement, provider-based status, compliance audits and medical records management. A sixth book, “The Case Management Workbook – Defining the Role of Physicians, Nurses and Case Managers,” was released in Spring 2011. The “Introduction to the Legal Profession” program has enjoyed a tremendously positive response during its first year of existence at the College of Law. First-year NIU Law students have enjoyed perspectives from a unique array of presenters, all intended to enhance their commitment to professionalism at the outset of their legal studies. This will be the final of five lectures featuring renowned legal professionals and professors discussing progressive matters within the legal profession. Call (815) 753-9655 for more information.